New Hampshire Governor Chris Sununu charged the task force with eight proposals to research and if possible implement ranging from increasing access to mental mental health services for youth, investment in school security to strengthening background checks. New Hampshire Governor Chris Sununu has created a School Safety Preparedness Task Force in response to the Parkland, Florida shooting at Marjory Stoneman Douglas High School that killed 17 people. The task force consists of a diverse group of local and state officials who have been charged with creating safety protocols for New Hampshire schools. 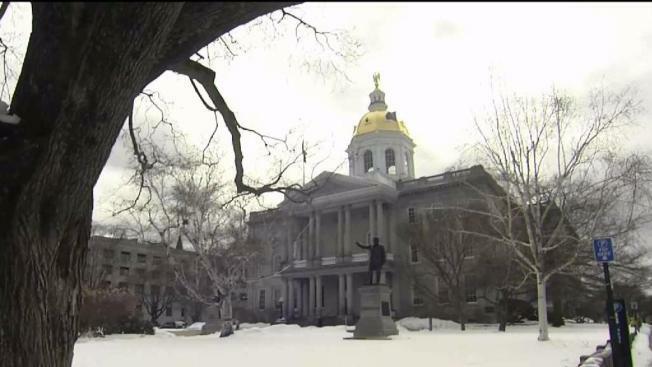 "We've been very fortunate here in New Hampshire,"Governor Sununu said. "We haven't had any significant incidents in recent history, but we know that very well could happen. "Someone has to take a stand," said Tara Nicholson, a parent in Concord, New Hampshire. "We have to do it now." On the same day that students all over the country walked out of school to protest gun violence, Governor Sununu's newly formed task force held their first meeting. Governor Sununu has charged the task force with eight proposals to research and if possible implement ranging from increasing access to mental mental health services for youth, investment in school security to strengthening background checks. "We talked about mental health. About kids in crisis. They talked about gun reform and what that would look like," said Governor Sununu. "Anytime you want answers they're usually not within the four walls of the State House, you gotta go out and really solicit that input from the community," Said Governor Sununu. The Director of Homeland Security and Emergency Management Perry Plummer is the Chairperson of the task force. "We hope to accomplish coming out with ideas that can be implemented to make our schools safer, and make our children safer," said Plummer. An AR-15 semi automatic style weapon was used in the Florida shooting on Feb. 14. "We're a gun crazed society, and there's time and place for every thing but we don't need AR 15's in the hands of kids," said Roger Ballou. "One has to be proactive because the firearms are out there." Governor Sununu said the task force is New Hampshire's way of being proactive. The Governor has said the task force will go hand and hand with the $20 million allocated to the Public School Safety Fund meant to give grants and assistance to safety and security upgrades in New Hampshire schools.